Our first test drive of the Mahindra $14,999 Roxor took place at a dealer event in Texas. Needless to say, the trails weren’t much more than a course laid out in a field and a small woods section. 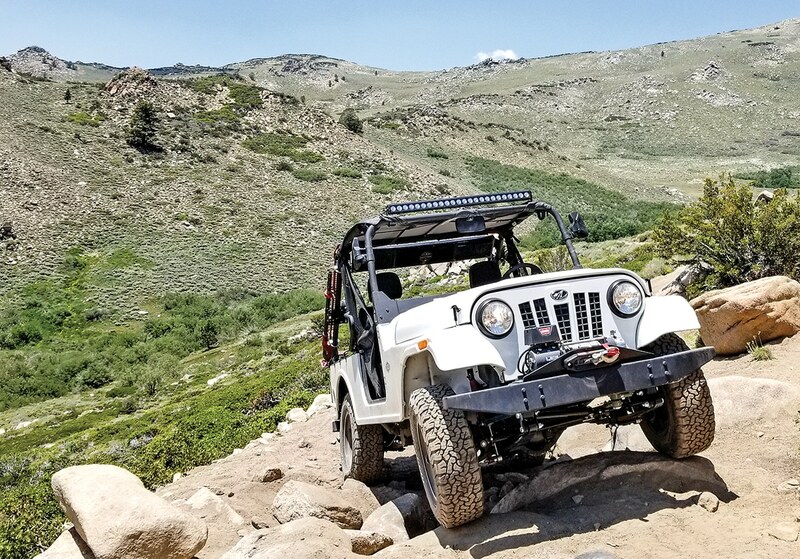 Once production machines hit dealers, we had a Mahindra rep meet us out in one of favorite test grounds for a real trail ride. Our “trail” is a 50-mile loop starting from the desert floor that crosses over an 11,000-foot peak, with hill-climbs, sand washes, rocks and water crossings thrown in the mix. It’s a perfect all-encompassing test for any recreational utility machine such as the Roxor. 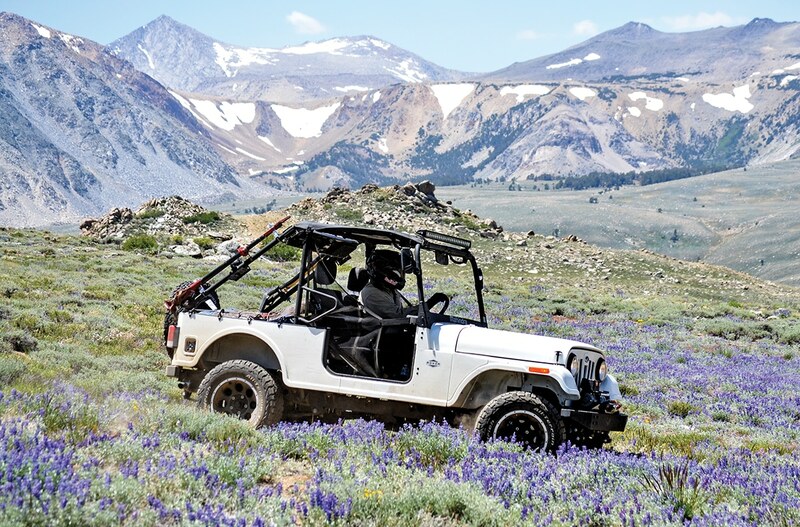 For our second test of the Roxor, we drove it around one of our favorite mountain loops. This test unit has hundreds of miles on the odometer and is running well and still rattle-free. Our test started out on a long, graded road where we quickly found the maximum speed of the Roxor topping out at 45 mph. We actually didn’t need to go past third gear to get there. We expect the aftermarket to bypass that speed limiter any day. You can tell the machine is capable of hitting upwards of 70 mph while still maintaining stability. The Roxor has a five-speed transmission with a low-range transfer case, giving you five more granny gears. Of course, reverse is included as well. 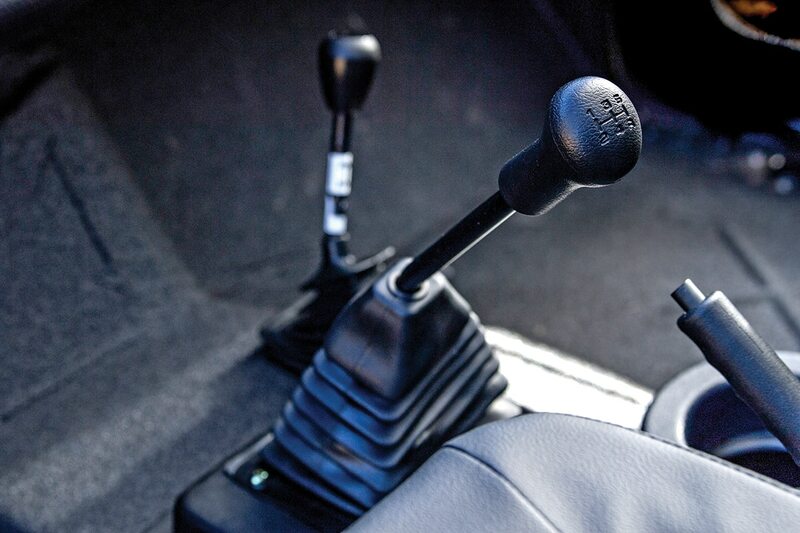 The clutch pedal on the floor is light and easy to operate. Shifting was super smooth. The little diesel is torquey, so you could actually leave it in a gear high going around a corner or slowing down for a bump and it would pull itself right back up to speed. You don’t really feel the turbo spool up; it’s a very linear power band. It doesn’t sound or smell like a typical diesel, either. Thanks to its 12-gallon fuel tank and good mileage, we were able to explore some amazing trails in the Roxor that we had never seen before. Once the trail turned a little rough, we backed off from the speed limiter. The little rig did surprisingly well over bumps. Driving a straight-axle machine verses something with A-arms is a different experience. The Roxor is a lot more planted, and you feel the contours of the road more, so line choices and checking up approaching bigger bumps are more of an issue; however, it’s all relative to how fast you are going, what machine you are in and how big the bumps are. 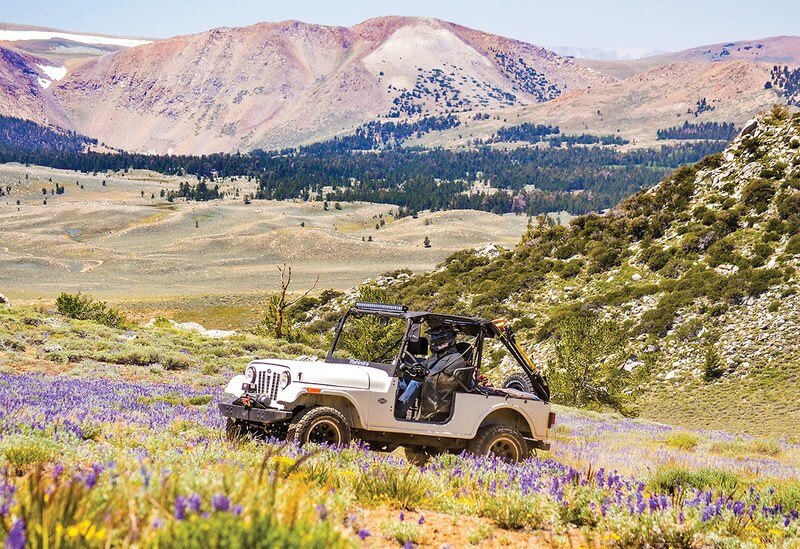 So, basically, when you drive the Roxor, you get into a slower mindset and you can enjoy your surroundings more than you do in a typical UTV. We were enjoying our ride, and when the trail started up a steep hill, we dropped the Roxor into low range. 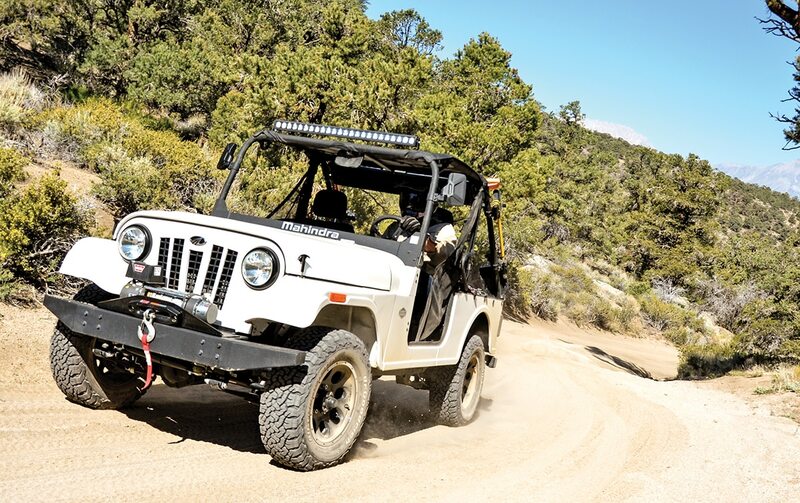 This made time between shifts a little quicker, and if we had to crawl over any rocks, very little throttle input was needed thanks to the engine’s 144 pound-feet of torque. Top speed was still 45 mph in low range. In the really tight sections, the Roxor drove great. Hydraulic power steering helped make the large wheel a pleasure to control. We wouldn’t ask for any changes in that department. The Roxor has a five-speed, dual-range transmission. Climbing some hills at higher altitude we needed the lower, tighter gearing. Top speed was still 45 mph. There was no loss of power at high altitude. The Roxor kept cruising along smoothly, even when we reached the higher elevations of the day. The fuel-injected turbo power plant didn’t miss a beat. Thanks to a 12-gallon tank and 150-plus-mile range, we had no reservations about exploring. 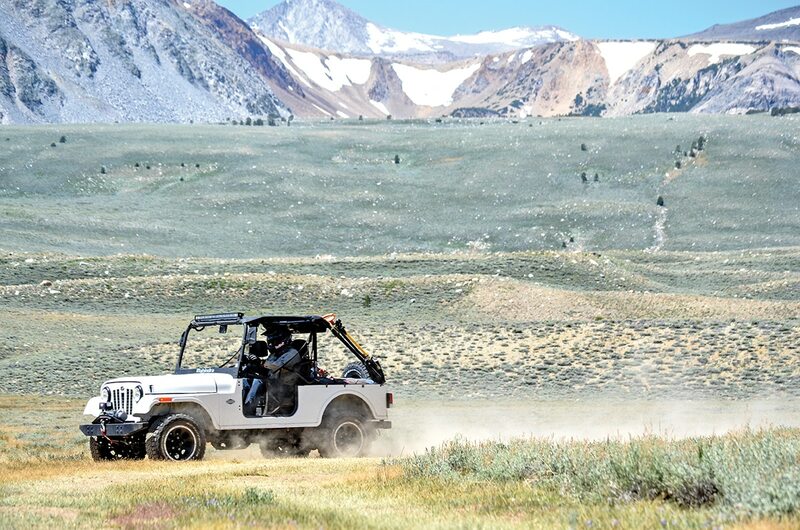 We scouted more trails on this day-long test than we had ever done on any UTV before. The Roxor is very confidence inspiring. Even when miles from civilization, you can relax because it feels very durable. As our test ride was on the downhill stretch, we encountered a rock obstacle that did put the Roxor to the test. It was a boulder pile blocking the road that we had no choice but to go over. Then we remembered, the Roxor does not have locking differentials. At high altitude, the Roxor’s turbo diesel motor ran strong and didn’t feel down on power one bit. In 85 percent of off-road situations, the limited slip diffs are fine, but not in extreme challenges. We tried to clear the rocks by crawling over them a handful of times. We would get about halfway up and one of the tires in the front or rear would break loose and stop our forward motion. In the end, we had to spend a few minutes piling rocks and making a ramp over the obstacle. During our bonsai move over the rocks, we dented one fender, but the soft metal easily bent back into shape. On the descent down the mountain, we were able to test the brakes to their fullest, and they worked flawlessly. The front hydraulic disc and rear drums did a great job controlling the 3000-plus-pound machine down the hills. Again, the hydraulic power steering was as smooth as any EPS unit we have used and never gave us any trouble. We were able to put the Warn winch to the test during our day on the trail. We did find the Roxor’s traction limits while going over a pile of rocks. The stock Roxor does not have locking front or rear differentials. However, by the time you read this, they will be available through the aftermarket. Hopefully next year they will be available as a factory option. So, we keep asking ourselves, why wouldn’t you just buy a used JEEP instead of the Roxor? Well, with the Roxor, you are getting a brand-new machine. Its turbo diesel is actually capable of pulling the 3000-pound unit around much better than a decades-old Jeep motor. There is no rust under a brand-new Roxor, and you are guaranteed there have been no rats chewing on the wiring, as might be the case with an old Jeep that has been sitting around. Having the reliability of a new machine gives you peace of mind, making any trip much better. Licensing and insuring an older street-legal Jeep is expensive. Maintaining a decades-old vehicle, especially one driven exclusively off road, takes a lot of extra time that we would rather use exploring planet Earth in a new Roxor. A steel C-channel frame under the Roxor is as strong as the frame on your pickup. The little turbo diesel engine pulls the 3000-pound machine around just fine. Mahindra recently announced the company has partnered with key American-based aftermarket manufacturers to offer an array of new accessories, including a Warn winch, AGM battery, HD bumper, Bestop hard or bikini soft top, KC Hi-Lites light bar, Kolpin rear-view and side mirrors, Kolpin grab handles, aluminum wheels with more BFGoodrich tires and Ox-brand locking differentials (this makes us happy). 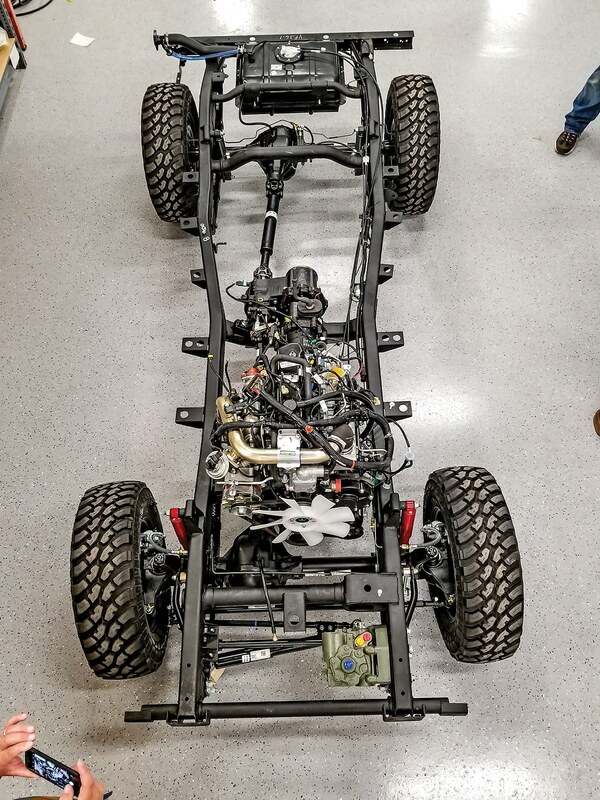 “Every driver needs something different from the Roxor, and we are giving them the options they want to customize it for their application,” said Vice President of Marketing for Mahindra Automotive North America Rich Ansell. “We’re also able to offer more than 400 different colors and custom wraps to give the Roxor owner tremendous choice.” Additional accessories are under development, including a snow plow and cabin enclosure at the company’s Auburn Hills, Michigan, facility. usa.com; however, the Roxor is a solid, well-built product that will turn heads and put a smile on your face. 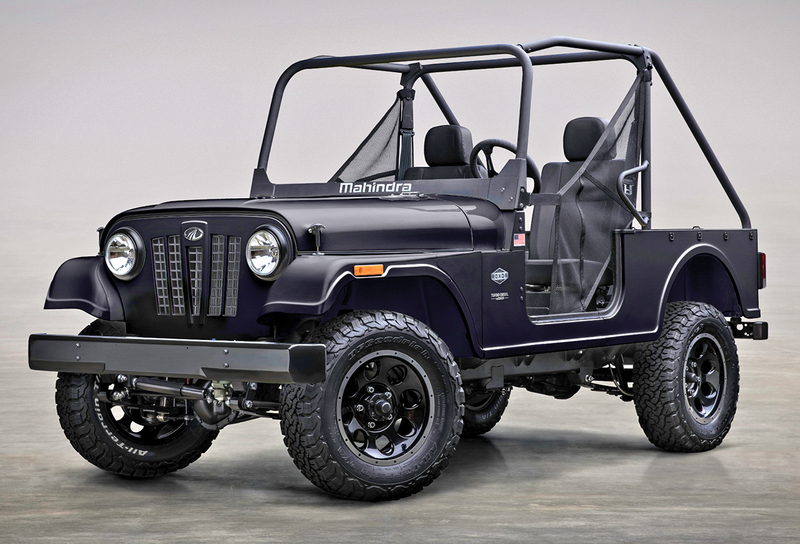 If you want something unique that has a bit of history and the durability of an all-steel frame and body along with diesel power, the Mahindra Roxor is just that. Seeing how the company is growing the brand and how well it has been received by the aftermarket, the Roxor should make you happy too. Claimed curb weight 3035 lb. Bed weight limit 349 lb.